SCK/CEN, the Nuclear Research Center, has been working on the MYRRHA project for years. MYRRHA is an innovative reactor with two important functions: drastically reducing the amount of nuclear waste and developing radioisotopes for cancer treatment. The support of the federal government represents a breakthrough for the project. The federal government of Belgium is investing EUR 558 million in the MYRRHA project, with foreign investment of EUR 1 billion to follow. Japan, France and Germany are interested, among others. The project will attract researchers from all over the world and put the SCK/CEN more firmly on the map as a global research institute. By 2027, the particle accelerator used to power the reactor should be ready for installation. The reactor itself should be operational from 2037 until 2065. Over the entire duration of the project, the added economic value of the project is estimated at approximately EUR 6.5 billion. Today, 150 people are employed by the project. During the construction phase and the following exploitation phase, the workforce will increase to 700 people. The MYRRHA reactor will be the first installation in the world to study the efficient reduction of high-level radioactive waste. SCK/CEN’s goal is to demonstrate a reduction of the lifetime of nuclear waste by a factor of one thousand and the volume of waste by a factor of one hundred. "After 40 years, the nuclear waste from all Belgian reactors covers an area the size of a football pitch, with a thickness of 50 cm. We could treat that waste, reducing it to only 5 mm thick,” explains Hamid Aït Abderrahim, deputy director of SCK/CEN. As a second important function, the reactor will develop new radioisotopes. These elements emit radiation and are used in medical imaging and therapy for cancer, enabling a less-invasive treatment option for patients that more directly targets the tumor itself. 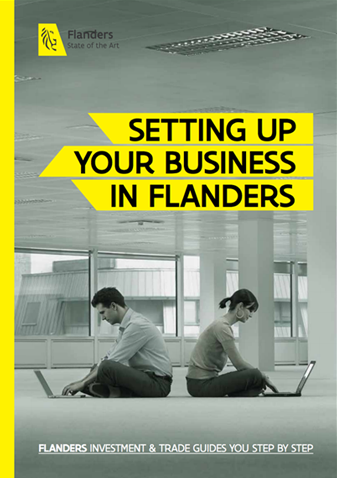 Learn more about research centers and scientific institutes in Flanders.